While searching through Duotropes this week I came across a new audio fiction podcaster I'd not seen before. CossMass Infinities is a UK-based science fiction and fantasy podcast that pays for submissions, one story per month. They started in January, so I've missed them for six months. I've had three stories podcast so far - one in Catalan and two in English, but both with American accents. It would be interesting to hear one of my stories, particularly one with a British setting, read with a British accent. 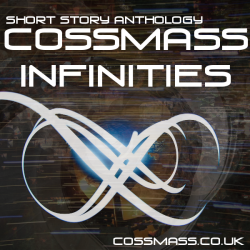 I submitted four stories to four different podcasts this week - including CossMass Infinities. Thanks for the tip - I'll definitely check them out.